Download your copy of the free digital marketing textbook from Red & Yellow School. It is with great excitement that we present the Beta chapters of the 6th Edition of our digital marketing textbook, eMarketing: The Essential Guide to Marketing in a Digital world. What fills us with immense pride is that this will be the 10th Anniversary Edition of our textbook. I was fortunate enough to contribute to the SEO chapter of the textbook when it was in it’s first edition. it takes 140 characters or less to get a message across. 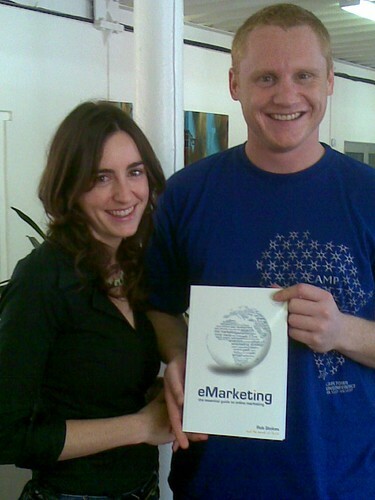 eMarketing – Your essential guide to online marketing. By Rob Stokes and the minds at Quirk Red & Yellow School. Need hands on SEO training & education from the experts? Try the getsmarter SEO course.